On the screen in front of them, they looked like they were sharing a joke. Behind the camera, Mike rolled his eyes. “I had a dream last night that I killed a turtle and I’m pretty sure that turtle was you.” Penny shook her head winsomely and batted her eyelashes. On cue, Jane laughed. Penny sucked in a long breath and it lasted until Mike signaled that they were clear. Then she lunged across the desk. 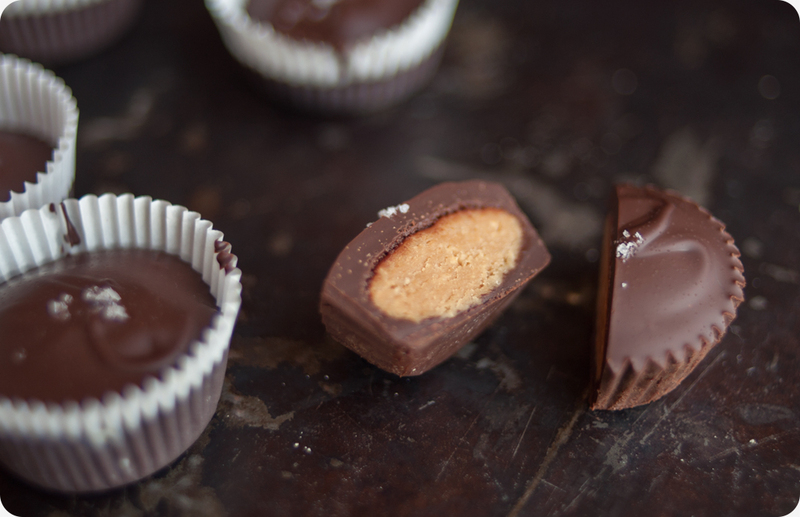 We started this week by giving away beautiful kitchen-y things and we’re wrapping it up with peanut butter cups. Right now, it’s sunny in Maine and the temperature has tipped over 50 degrees. A week from this moment, I’ll be boarding a plane in Boston, headed for Italy. Two whole weeks. The first with my friends and the second with my family. I’ve mapped out all the places where I want to eat in Rome, courtesy of this lady. My imagination has been brimming over all week- so much pasta. So much pizza. So much wine. In other news, Sunday is Easter. And by some strange quirk of childhood, I now associate Easter with chocolate-peanut butter treats. This might have something to do with those damned Reeses Eggs (note to Nicole- can we try to make those next year?) or the fact that my parents always supplied our Easter baskets with homemade candy from Krisch’s in my hometown. The sight of that little white box with the gold sticker and those little bunny-shaped, peanut butter-filled chocolates… that is a moment of pure joy. 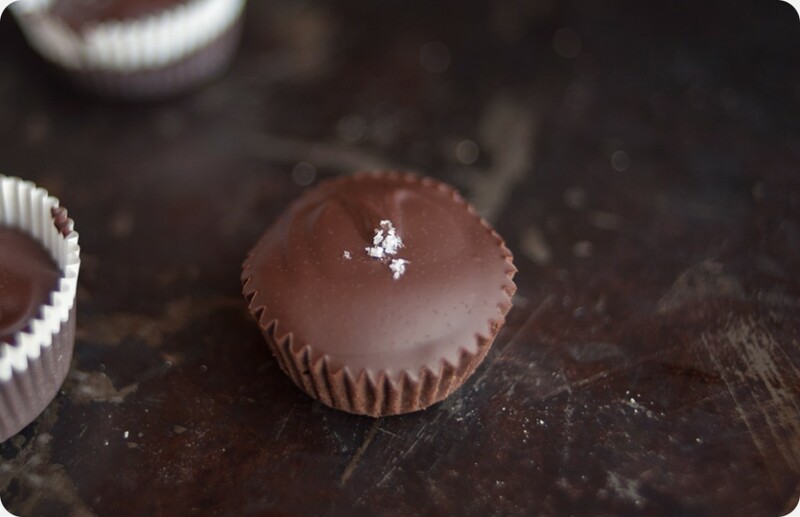 When we saw these little homemade peanut butter cups on Sprouted Kitchen, I knew they would be mine, oh yes. They would be mine. 1. Use a double-broiler to melt the broken-up chocolate (if you don’t have a proper double broiler, rest a heat-proof bowl over a pot of simmering water, making sure the water doesn’t touch the bottom of the bowl). Stir until it’s perfectly smooth. 2. 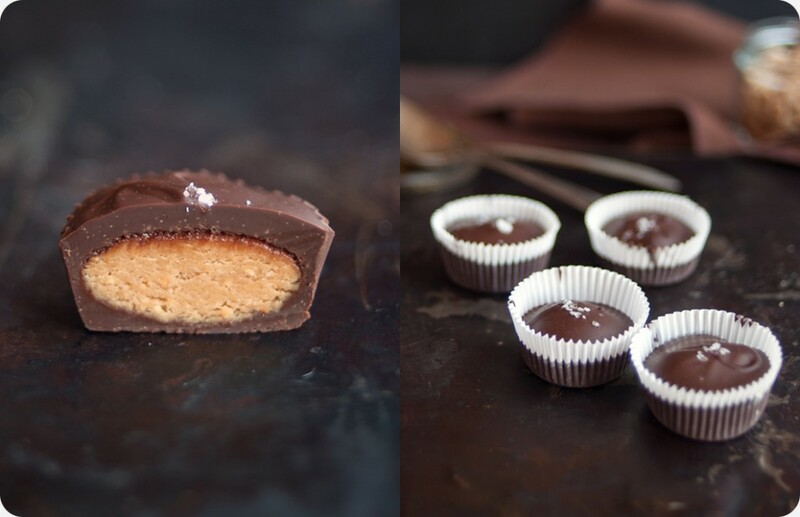 A mini-muffin tin will help the chocolates hold their shape. Insert liners in tin. Spoon about a teaspoon of the chocolate into the bottom. Tilt and twist the cup so the chocolate coats the sides of the liner and then rest it back in the tin. Repeat with remaining papers. 3. In a bowl, mix the peanut butter, honey, powdered sugar, vanilla and salt together until smooth to make the filling. 4. 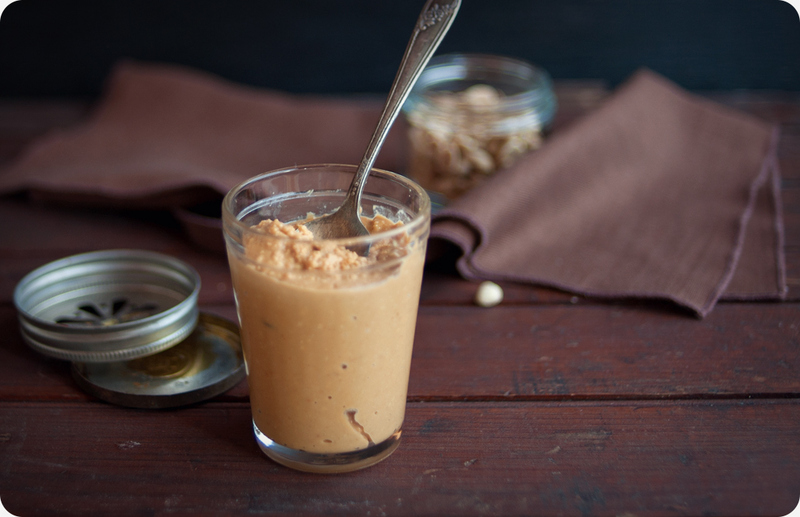 Scoop out a teaspoon of the peanut butter filling and gently roll it onto a ball between your palms. 5. Give it a press down and center it on top of the thin chocolate puddle. Repeat. 6. Spoon chocolate, another teaspoon, on top of the peanut butter filling to cover completely and level with a few more drops of chocolate. 7. Sprinkle a few flakes of sea salt on each cup and chill in the refrigerator to set. Oh my lord of the rings, I think I found the perfect thing to eat to end my Lenten resolution to give up sweets! I’m headed from Boston to Italy this month too! I’m so excited to get away from all this gray and just lounge in the sun and stuff my face with pasta. Have a great trip!